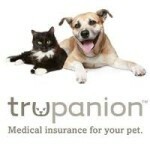 Pet insurance protects you from large, unexpected vet bills. If you are the type of dog or cat owner who does not want to choose between going into debt or putting your pet down, pet insurance is for you. All pet insurance is not the same. Some insurance plans cover accidents to your pet, but not illnesses. A low price is no bargain if your insurance company denies your pet's claim. It's highly recommended that you compare quotes before making a decision.